Hate crimes remain serious problem in many OSCE states, new report by the Office for Democratic Institutions and Human Rights says. Hate crimes continue to be a serious problem in many participating States of the Organization for Security and Co-operation in Eurpoe (OSCE) concludes a report published by the OSCE Office for Democratic Institutions and Human Rights (ODIHR) today. The report, launched on the occasion of International Tolerance Day, says there were numerous instances of intimidation, threats, vandalism, assault, arson and murder during 2008. It also stresses that the full extent of hate crimes remains obscured by a lack of reliable data. "Hate crimes have become a frequent occurrence in many participating States. But, unfortunately, the scarcity of data on these crimes makes it difficult to assess the true scope and nature of the problem and to devise effective policies to combat hate crimes," said Ambassador Janez Lenarcic, ODIHR's Director. 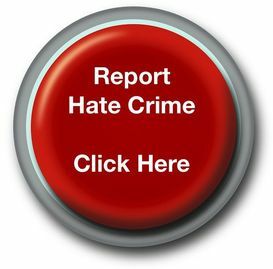 The report, published annually, provides statistics and other information on the extent and types of hate crimes, as well as government responses. It is based on data received from OSCE participating States, inter-governmental agencies and civil society groups. The report points out that there are significant gaps in data collection in most participating States. Some do not collect any statistics on hate crimes at all, while others do not make this data public. The report emphasizes the need to record, investigate and prosecute hate crime cases, improve data collection, and strengthen co-operation with civil society to complement government efforts. OSCE participating States have adopted a wide range of commitments to combat hate crimes. These commitments were adopted in recognition that these crimes pose a potential threat to domestic and international security, as they can undermine societal cohesion and sow the seeds of conflict and wider-scale violence.